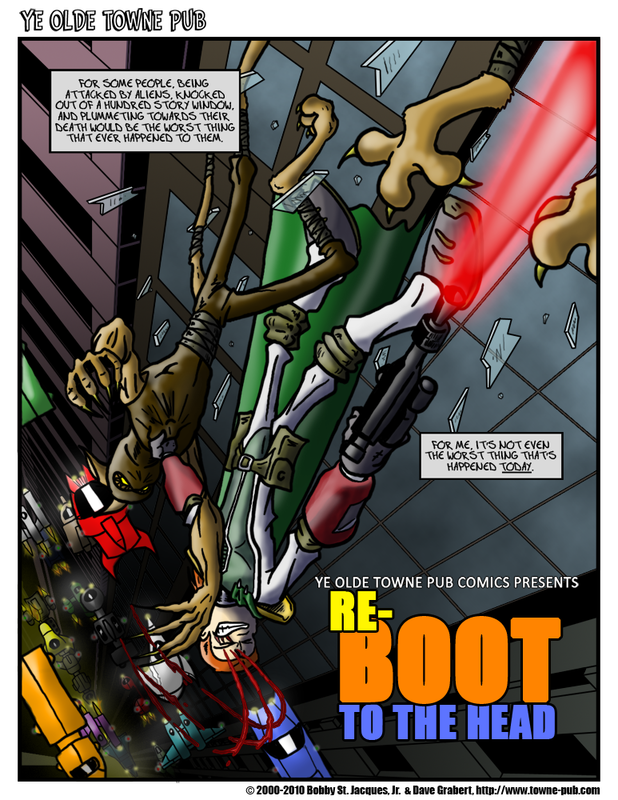 So here was are on page 2 of the Reboot to the Head storyline. I don’t have a lot of time to blog right now (I need to get to work). I would have posted this last night, but it slipped my mind until I was already in bed. Later today I’ll add more to this. In the mean time, please enjoy! Ye Olde Towne Pub - New Friday, New Strip!